The system was designed using 8 Fulcrum Acoustic CX1295 12-inch coaxial loudspeakers, one Sub215 dual 15-inch direct-radiating subwoofer, and seven Sub115 15-inch direct-radiating subwoofers. The mains were carefully positioned inside soffits around the lounge, while the subwoofers were secreted into existing millwork and columns. Additional smaller side zone speakers were placed near the entryway and bathrooms. The speakers were hidden well to provide even coverage throughout the space without deadening the visual impact of the lounge. Powersoft Ottocanali amplifiers power the main PA; these were chosen as a low-footprint, high-impact sound solution. The system uses 16 channels of Powersoft amplification over two Ottocanali 8K8 rack units, taking up a mere four rack units in the club’s small rack room. This setup is the equivalent of having a rack of 8 amplifiers. A single Crown DCi 4/600N amplifier is used for the DJ monitors, specified because of its built-in BLU-Link, which ties into the BSS Soundweb London BLU processor seamlessly, with it being located locally in the booth and not in the audiovisual rack. Using 4 strategic clusters of ADJ moving heads and LED Pars we installed both in each of the corners. 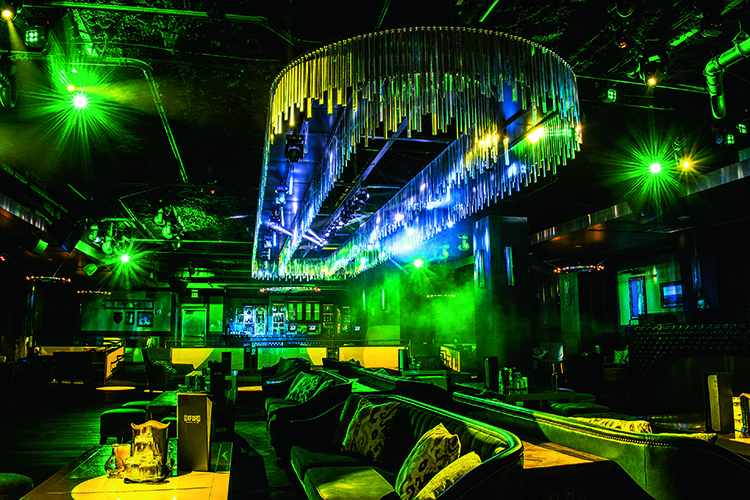 These clusters of ADJ Focus Spot Twos and Inno Pocket Z4’s produced light that moves around the room and fills every corner of the club with light. 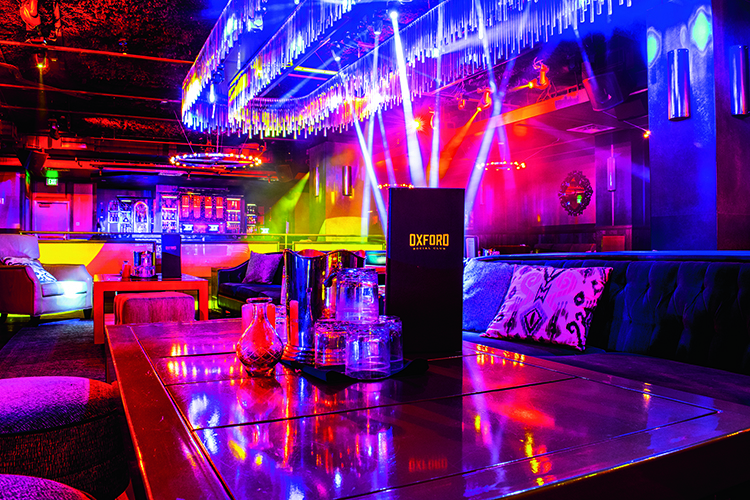 Just like the concept of sound, we evenly distributed light all around the room and the ADJ lighting we choose are fixtures we’ve worked with in the past. Not only did we need fixture that could perform in multiple scenarios, but needed them to be reliable and nearly maintenance free since there is not a large backroom staff at the Oxford. A couple of Antari F-380 fazers also feature for added special effects. 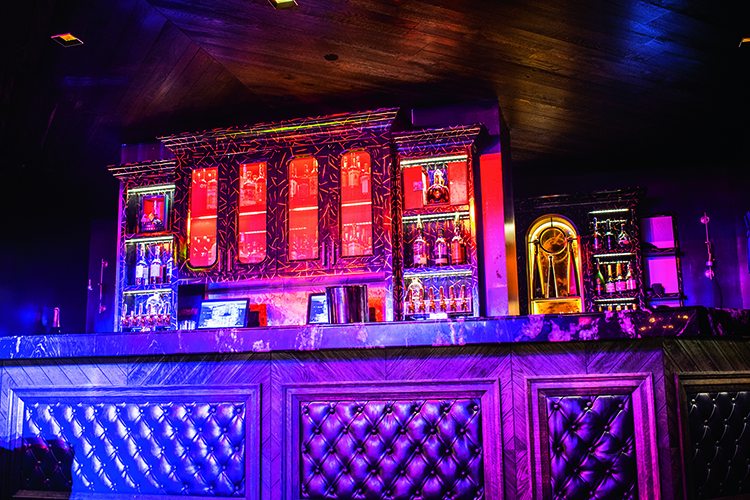 Going against the norm of the ‘flips flops and tank tops’ beach crowd which is commonly associated with the historic Gaslamp District of San Diego and instead offering more of a sophisticated lounge feel, as if you were turned back in time to the roaring twenties. 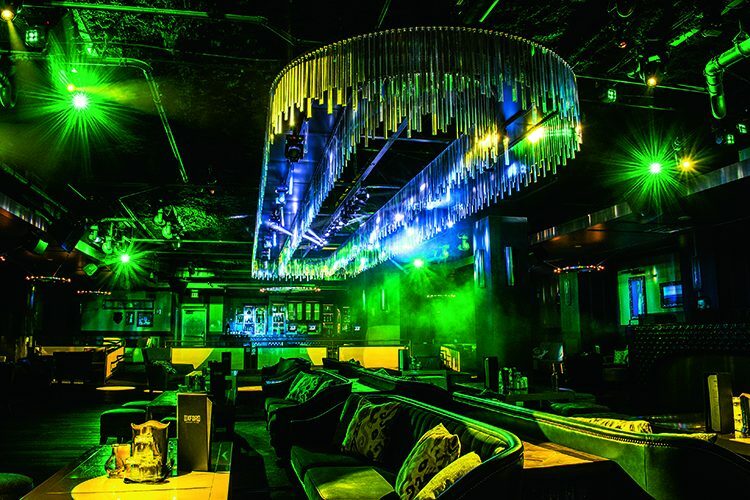 The zooming features on the Inno Pocket Z4 hitting the glass chandelier produces a breath-taking glow that is the focal point of the entire club – while all the lighting inside the chandelier is hidden from view.